Really Cheap Flights to RTB (Roatan)! | We LOVE Roatan Blog!! Tropic Air just opened up a route from Belize to Roatan aswell. On November 13, 2013. Tropic Air will commence non-stop service to Roatan from Belize City’s Phillip Goldson International Airport (BZE). Flights are 3 times weekly with a plan to increase as demand warrants. Passengers from Roatan will be able to connect to and from the many multi-daily non-stop international flights that Belize City has to offer (Los Angeles, New York, Dallas, Charlotte, Houston, Miami, and Atlanta among others). 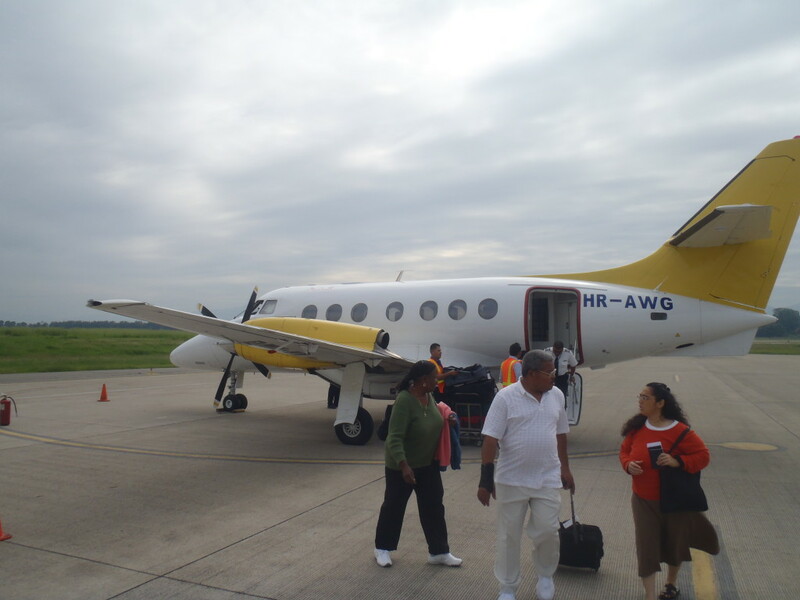 The Roatan flights also connect to Tropic Air’s other international services to Cancun (Mexico), Flores (Guatemala) and San Pedro Sula in addition to its 11 domestic destinations within Belize. In addition to trade and commerce, this service also opens up many new opportunities for the tourism market, with hotels in both destinations already partnering up to offer double dip vacations, further diversifiying the tourism offering of both Belize and Roatan. With the addition of Roatan, Tropic Air will serve 15 destinations in Belize, Guatemala, Honduras and Mexico.